Downtown San Jose boasts an interesting and bustling lifestyle for the active community member. Strong cultural diversity is reflected in theater offering from both Asian and Hispanic Theatre Groups, as well as local San Jose Stage Company and City Lights Theatre Company. Explore the Children's Discovery Museum, The Tech Museum, the San Jose Museum of Art and the San Jose Museum of Quilts and Textiles. Loosen up a little at the San Jose Improv, and possibly see the next up and coming comedy stars!! Cheer on our local hockey team, San Jose Sharks, the 2016 Western Conference Champions!! The public chool district is San Jose Unified School District , although many choose the private school route. Most people who move into downtown San Jose or looking for something other than schools as a reason for moving into the various neighborhoods. 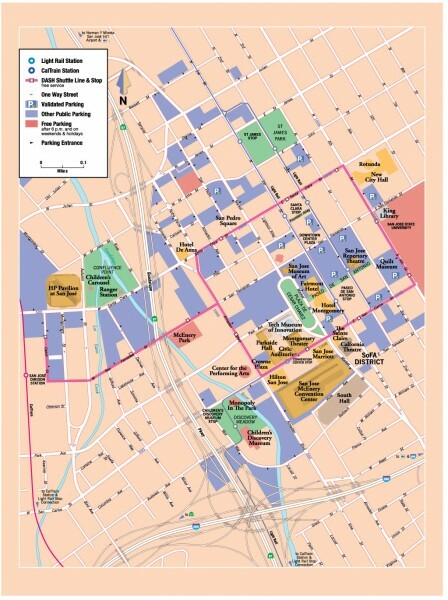 The downtown area of San Jose is thriving, due to a recent revitalization of this area. Primarily, new residents are either located in the newer townhomes and condos, many of whom have concierge services, and close to downtown shops and restaurants. Values in downtown San Jose can start as low at $350,000 for a 2 BR condo up to over $1 Million close to Williams Street Park.